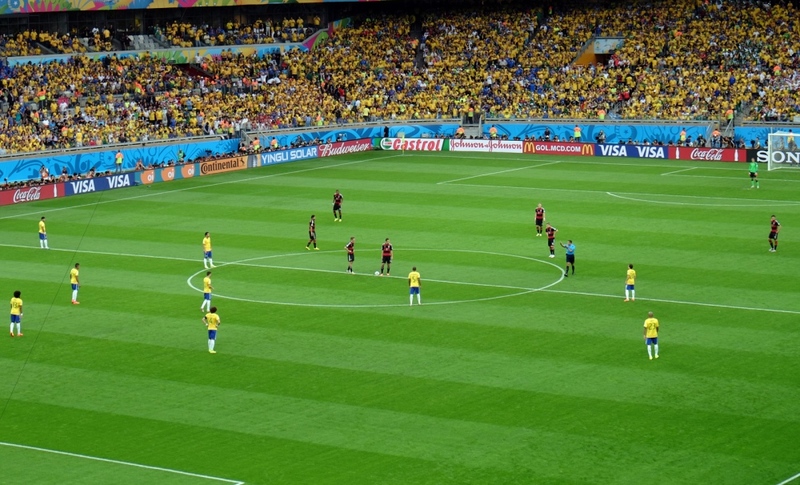 The Brazil vs Germany football match that took place on 8 July 2014 at the Estádio Mineirão in Belo Horizonte, Brazil, was the first semi-final match of the 2014 FIFA World Cup. Both Brazil and Germany reached the semifinals with an undefeated record in the competition, with the Brazilians' quarterfinals with Colombia causing them to lose striker Neymar to injury, and defender and captain Thiago Silva to an accumulation of yellow cards. 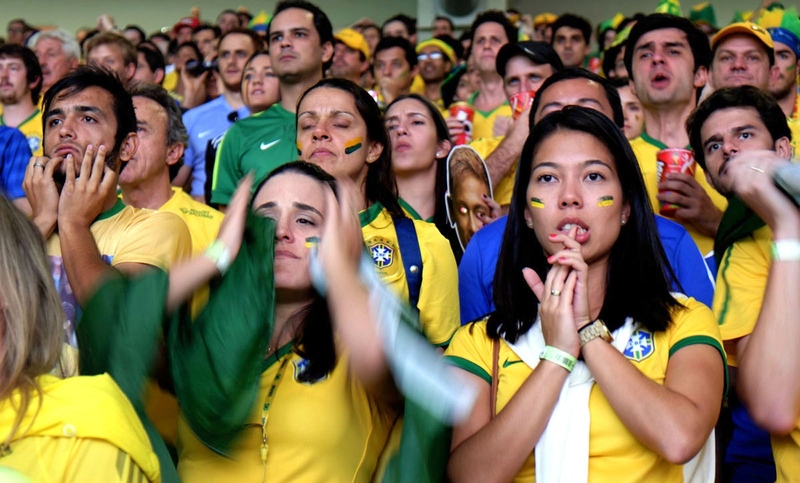 Despite the absences, a close match was expected, given both teams were traditional FIFA World Cup forces, sharing eight tournaments won and having previously met in the 2002 FIFA World Cup Final, where Brazil won 2–0 and earned their fifth title. This match, however, ended in a stunning loss for Brazil; Germany led 5–0 at half time, with four goals scored within six minutes, and subsequently brought the score up to 7–0 in the second half. 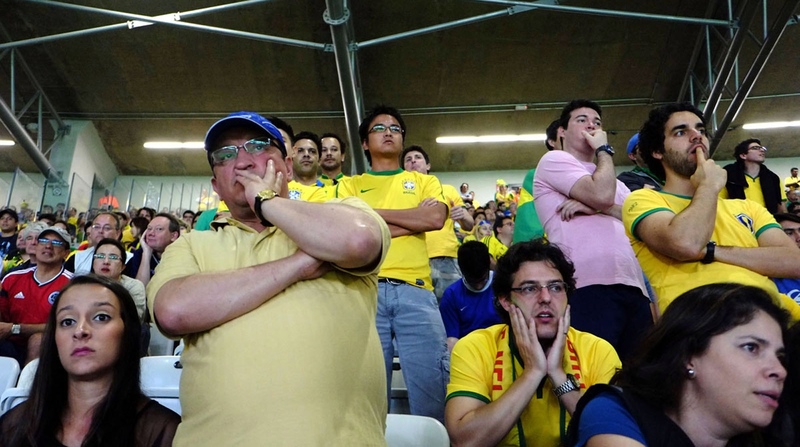 Brazil scored a goal in the last minute, ending the match 7–1, these images shows the Brazilian fans reaction during the game. 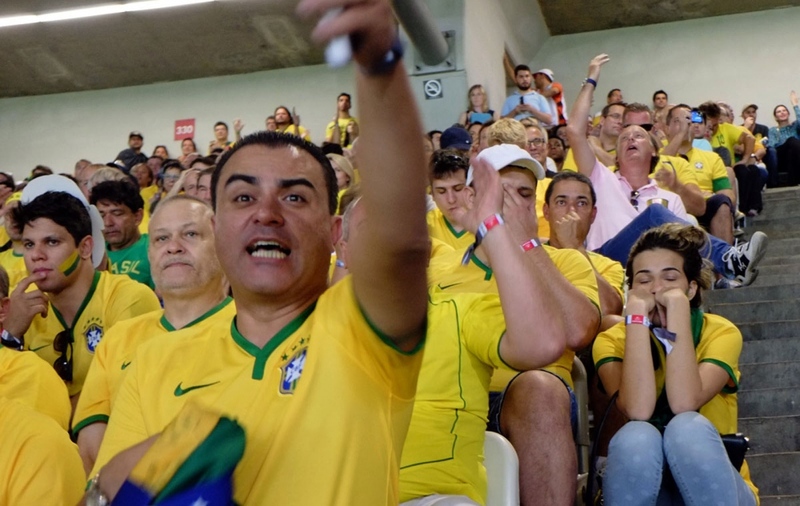 Brazilian fans reacts as the Brazillian national team collapses in front of the German national team in the Mineirão Stadium in Belo Horizonte, Brazil. Germany went on to win the World Cup for the fourth time after defeating Argentina in the final, and became the first European nation to win the World Cup in South America. 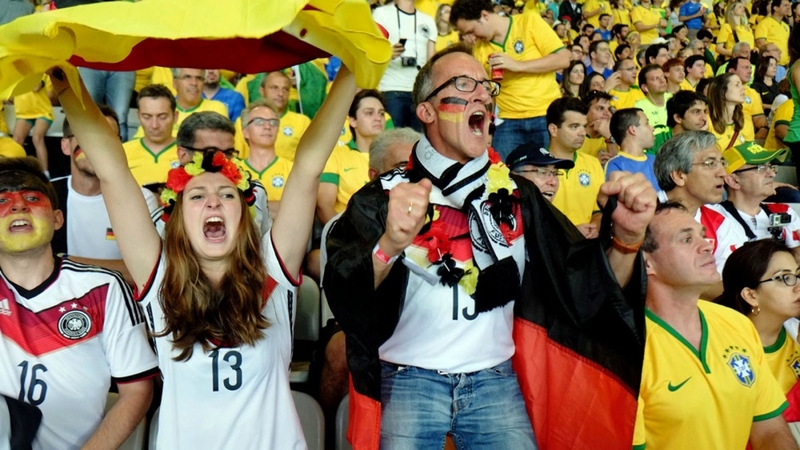 Germany's win marked the largest margin of victory in a FIFA World Cup semi-final. 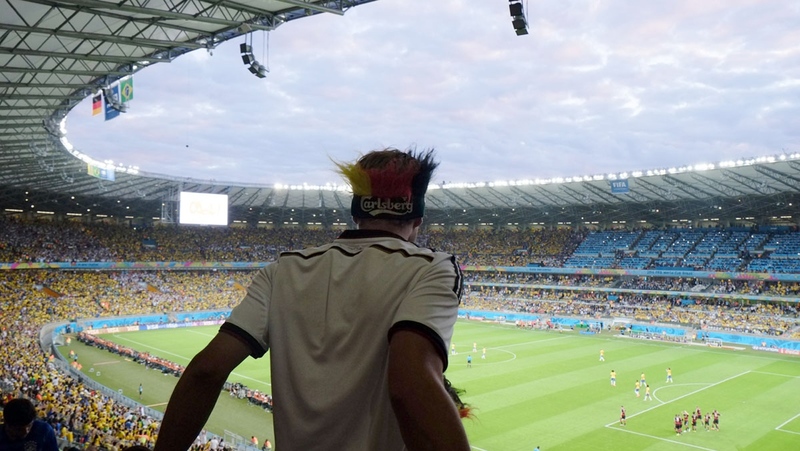 The game also saw Germany score the most goals in World Cup tournament history, their 223 overtaking Brazil's 221. Germany's second goal, scored by Miroslav Klose, was his 16th in World Cup play, overtaking Brazil's own Ronaldo as the tournament's all-time record goalscorer. An unidentified German celebrates. The Brazil vs Germany football match that took place on 8 July 2014 at the Estádio Mineirão in Belo Horizonte, Brazil, was the first semi-final match of the 2014 FIFA World Cup. 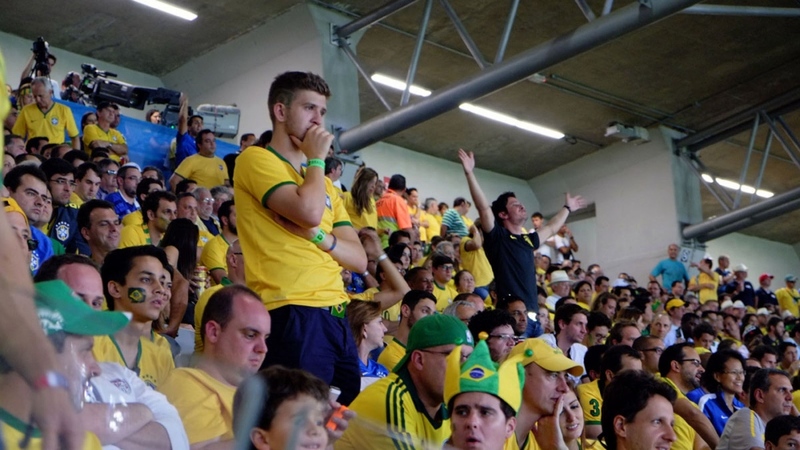 A unidentified woman cries during the Brazilian national team shocking loss. 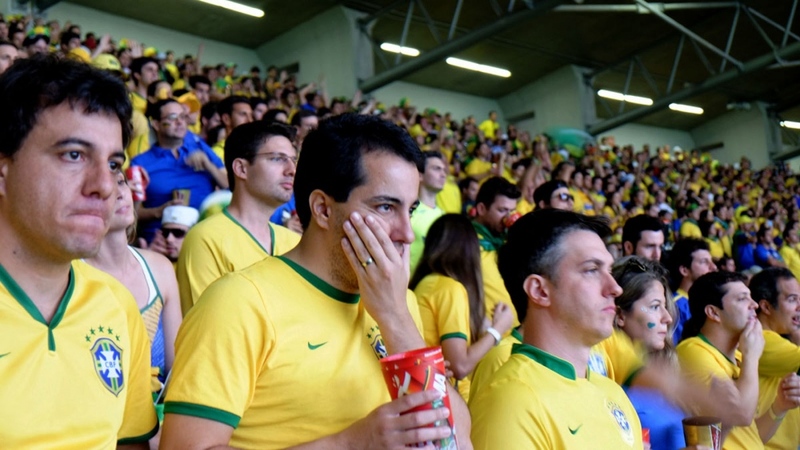 Brazil's loss broke their 62-match home unbeaten streak in competitive matches going back to 1975, when they lost 1–3 to Peru in that year's Copa América, and equalled their biggest margin of defeat, a 6–0 loss to Uruguay in 1920, causing the match to be described as a national humiliation. 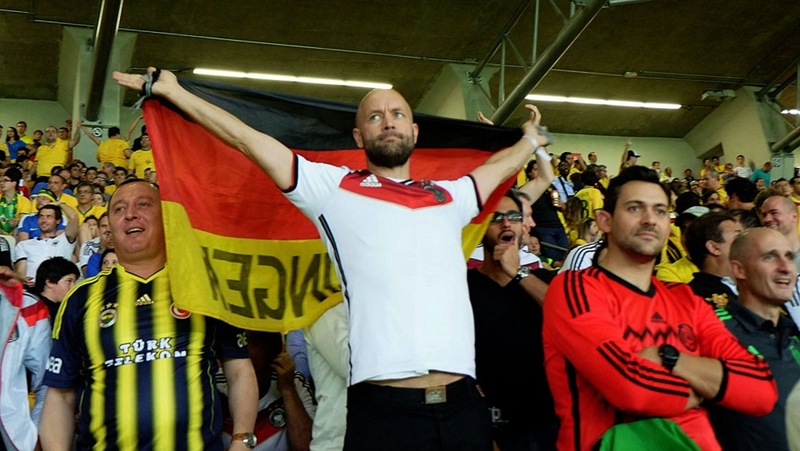 Germans celebrate another goal. 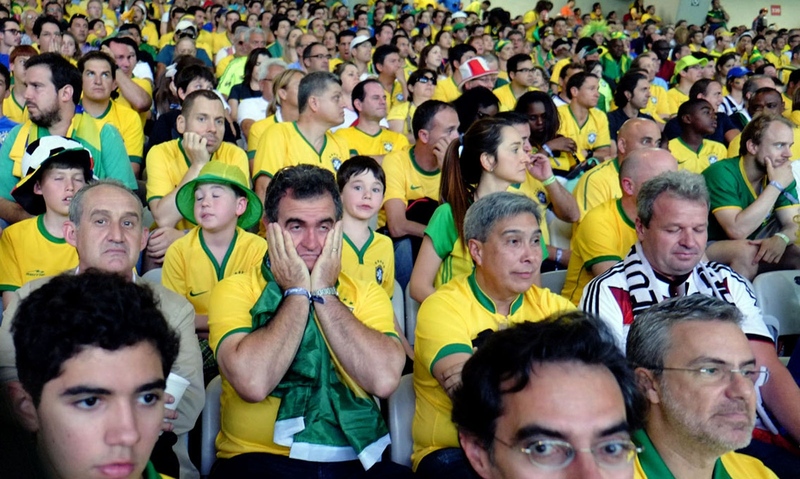 The game was subsequently referred to by the Brazilian media as the Mineirazo, evoking the spirit of national shame brought by the Maracanazo in which Brazil unexpectedly lost the 1950 FIFA World Cup on home soil to Uruguay. 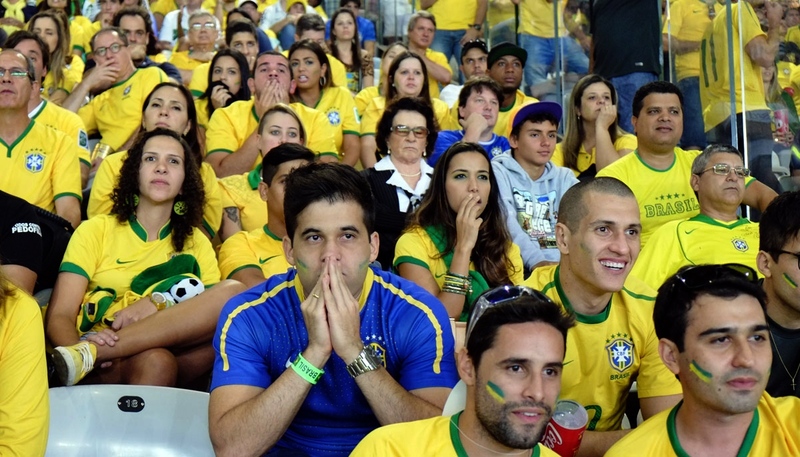 Brazilians on the stadium can not believe what is happening on the field below. 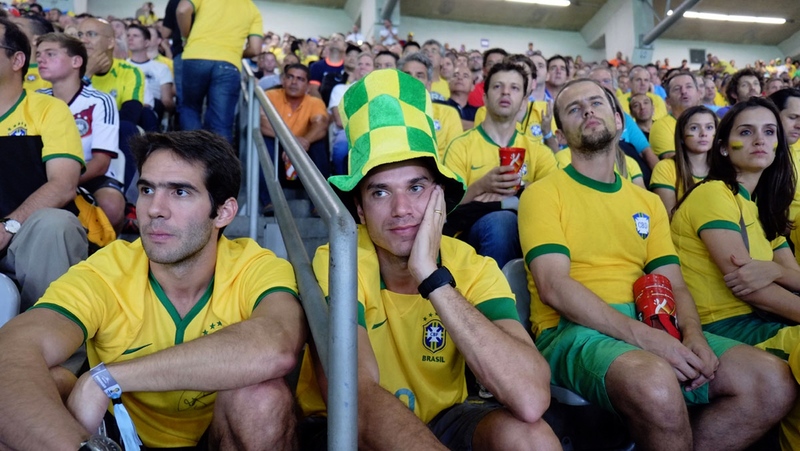 An unidentified Brazilian fan scratches his head in disbelieve of what is happening on the field below. 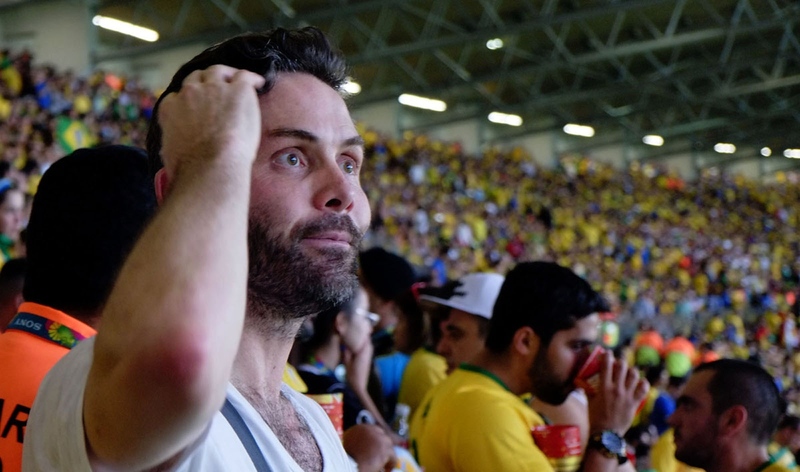 Brazil scored a goal at the last minute, ending the match 7–1. 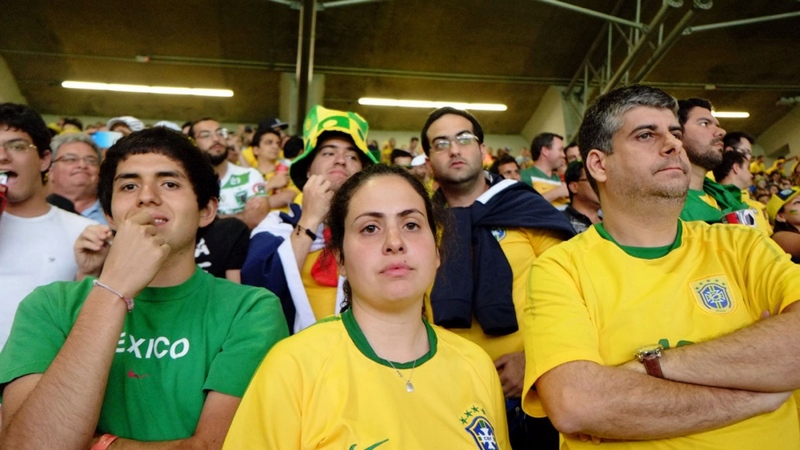 Brazil's loss broke their 62-match home unbeaten streak in competitive matches going back to 1975, when they lost 1–3 to Peru in that year's Copa América.